Family members and other caregivers are rightfully concerned about hunger and thirst at the end of a loved one's life. They wonder if the patient should be receiving intravenous fluids or tube feedings. They are concerned that the person they have been caring for will be hungry and will suffer without a means of ingesting additional nutrients. After all, providing food and fluids is fundamental to the role of caregiver. Won't your loved one starve to death or die of dehydration? Artificial nutrition is the delivery of a patient’s nutritional support in a fashion that does not require the patient to chew and swallow. This type of feeding can be accomplished with total parenteral nutrition (TPN), or through a nasogastric tube (NG tube) or gastrostomy tube (G-tube or PEG tube). In most cases, however, the risks of artificial nutrition and hydration outweigh any benefits. It is important to understand that loss of appetite and weight loss is a normal part of the dying process. It is gradual for some and quite sudden for others, but nearly all patients with a life-limiting illness stop eating and drinking at some point. Patients and caregivers have reported that hunger at this point is a non-issue. Patients are just not hungry at the end of life. Thirst may occur, but studies have shown that IV hydration isn't effective in alleviating thirst, if at all. Good oral hygiene, using oral swabs and lubricants, is usually adequate to relieve dry mouth. Other symptoms of dehydration, such as muscle spasms, are rare and can be treated with sedatives if they occur. It's important to keep in mind that your patient or loved one is not going to die of starvation or dehydration. Your patient will die from their underlying disease or condition. If you are faced with making the decision to withhold or withdraw artificial feedings and/or hydration, talk with your patient's doctor about the benefits and risks of each one as it pertains to your patient's individual case. Making Difficult Health Care Decisions: Goals of Care. The place to begin when considering life-prolonging treatments is to identify the intended goals of care. Deciding to Withhold or Withdraw Life Support. Life-sustaining treatment, also known as life support, is any treatment intended to prolong life without curing or reversing the underlying medical condition. This can include mechanical ventilation, artificial nutrition or hydration, kidney dialysis, chemotherapy, and antibiotics. How can you know how to make that final call? 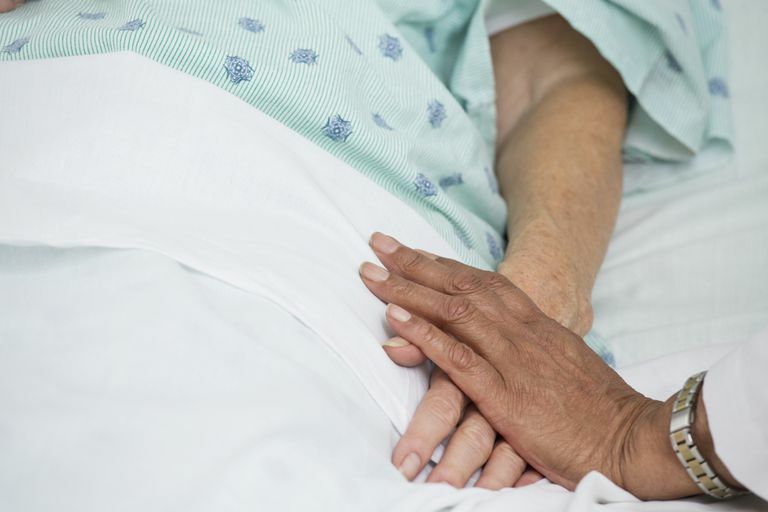 Acts of Love: Caring for a Dying Loved One. Being a caregiver for someone with a chronic or life-limiting illness is stressful, exhausting and, at times confusing. Once the ill person starts the dying process, the task becomes more demanding and the emotions more intense. You may find yourself wondering if you’re doing the right thing, saying the right thing, and even thinking the right thing. The Decision to Stop Eating at the End of Life. No one can tell you whether you should voluntarily stop eating and drinking. Depending upon your quality of life, the amount of suffering, and personal belief system, you can decide if this choice is right for you.